Would you like to be wealthy? That’s a silly question – of course you would. No one would turn down wealth if it was offered, as being wealthy opens up many possibilities which simply wouldn’t be available otherwise. Want to travel, or take more time off of work? Wealth can make those things possible, and more. Of course, it is not easy to become wealthy. You might think that you need a fancy job or advanced education to become wealthy, but that is not necessarily the case. In fact, there is one simple thing you can do which will greatly improve your chances to achieve wealth – live a frugal lifestyle. If you can live frugally from day to day, you just might find yourself in a wealthy position down the line. Here are three ways in which frugality can help you build your personal wealth. Well, this one is obvious. If you live in a frugal manner, you can save more of the money you make each month. Many people ignore the idea of saving any of their money, instead choosing to spend basically everything they earn as soon as it comes in. If you are willing to make a few sacrifices along the way – such as eating in rather than dining out all the time – you may be able to save a considerable amount of money as the years go by. It is hard to imagine that something so simple could be so powerful, but it really is a great way to take your finances to a better place. 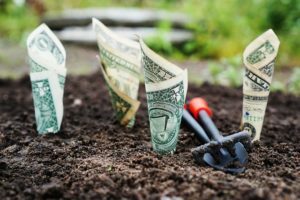 Taking a frugal approach to just one area of your finances can quickly snowball into other areas until you are thinking practically about every single dollar you spend. For instance, if you cut out your cable bill because you can get all of your entertainment through other sources, you may save something like $100 per month. That $100 of savings is not going to make you rich all on its own, but it might encourage you to look for other areas to save. Pretty soon, you will be applying a careful review to all of your financial decisions, and your bank accounts may look better as a result. The most important think you can do with regard to frugality is simply taking a first step. Work on finding a way to save some money in one specific area of your life and move on from there. When you live paycheck to paycheck, it is hard to think about anything else but paying the bills. You probably won’t spend much time trying to increase your earnings, because you will be so focused on getting by with what you have at the moment. However, one of the best things you can do to become wealthy is find a way to make more money month after month. Now that you are living a frugal lifestyle, you should have more margin for error each month in your budget – and you should be able to spend some time looking for additional earning opportunities as a result. Do you live frugally? Is frugality helping you to build wealth? How else are you building wealth? Good topic. Many people focus on just one side of the wealth-building plan -> earnings. But it is a combination of earnings and expenses in reality. I’ve met some people who focus mainly on the expense side of the equation and are making faster wealth-building progress than people focused on the earning!